Hello! My name is Lily Javois and I am the President of Sigma Kappa. I am a current Junior exercise science major and a double minor in psychology and medical humanities. I am from a suburb outside of Chicago called Hinsdale. I have three sisters and a dog! I am also in the health sports and science fraternity on campus called Phi Epsilon Kappa! A fun fact about me is that I have been singing since I was 7 years old and all my sisters and I sing together. 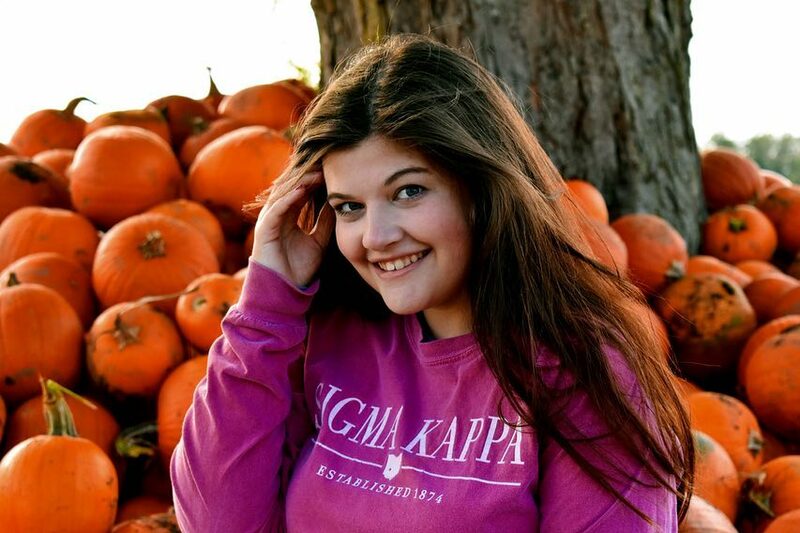 My name is Madison Marquart and I am the Vice President of Standards and Values of the Kappa Gamma chapter. I am a junior pre-physical therapy major at the University of Dayton with a minor in psychology and medical humanities. Other things I am involved in on UD’s campus include Phi Epsilon Kappa, CDN Dayton Chapter, and Pre-Physical Therapy club. After undergrad, I plan to go to a doctorate of physical therapy program to become a physical therapist. I am originally from Noblesville, Indiana. A fun fact about me is that I haven’t drank anything but water since I was 3 years old. Hi! My name is Jacqueline White and I am the Vice President of Programming. 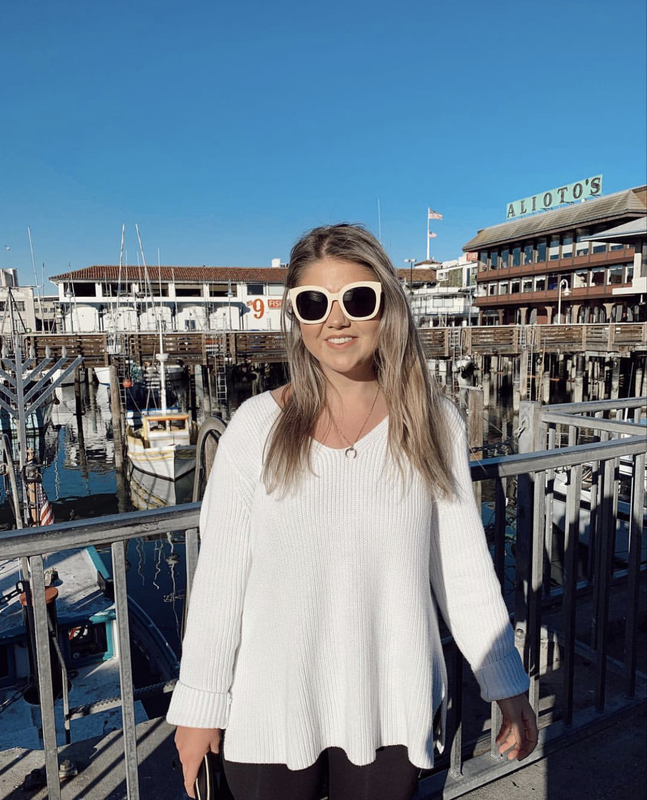 I am a junior marketing major from Thousand Oaks, California. Along with Sigma Kappa, I am involved in Flyer Enterprises as the Director of Marketing of The Jury Box. After college I would love to go into brand management and development. A fun fact about me is my roommate and I's moms were college roommates at Dayton! Hey all! 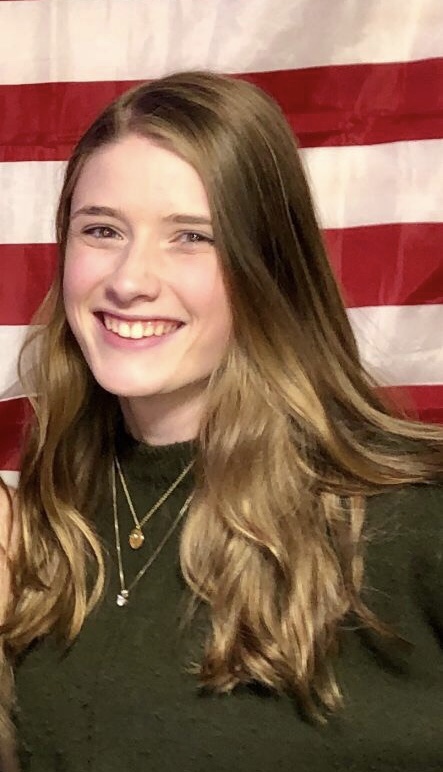 My name is Chloe Becraft, from Dayton, Ohio and I am a sophomore majoring in marketing with a minor in communications. My other involvements here at UD include being the Manager at the Center for Student Involvement Desk Reception, a Pepsi Campus Ambassador, and I am a UD Athletics Marketing Intern. After college, I plan on pursuing an MBA and furthering myself to become a brand manager in the food and beverage industry. A fun fact about me is that Belfast, Ireland is my favorite city I've ever been to! Hi! My name is Jillian Giner and I'm the current Vice President of Membership. I'm a junior double majoring in communication management and spanish language and culture. I'm from Dayton, OH and outside of SK, I am the recruitment chair for my professional honors communication fraternity. One fun fact about me is that I am the fourth daughter out of five sisters and love spending time with them whenever I'm not with my Kappa Gamma sisters! 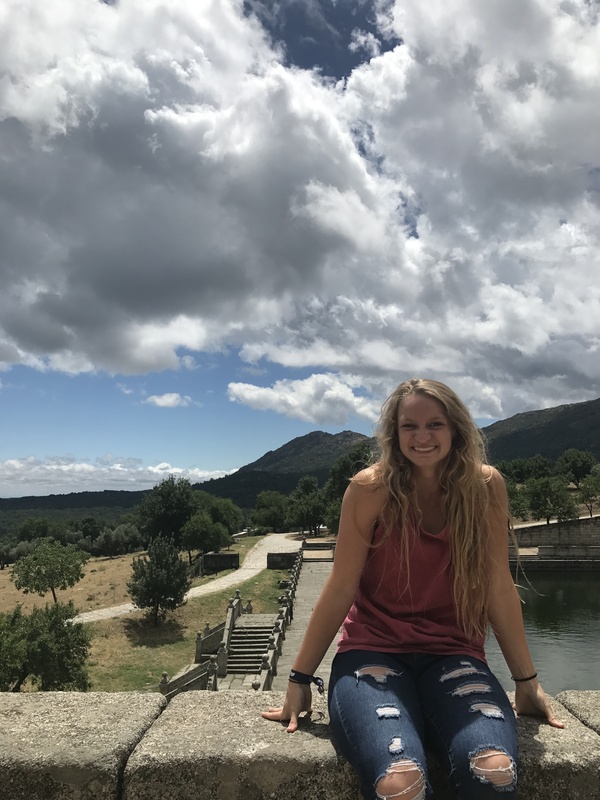 My name is Stephanie Roberts and I am a junior from Louisville, Kentucky, and I am pre-physical therapy major with psychology and entrepreneurship minors. Here at UD I am a fitness attendant at the RecPlex, a member of Phi Epsilon Kappa, and a member of the Pre-Physical Therapy Club. After I graduate from the University of Dayton, I plan on attending three years of physical therapy school and after that I am hoping to work in geriatrics or sports medicine. And one thing you should know about me is that my favorite animals are sharks! 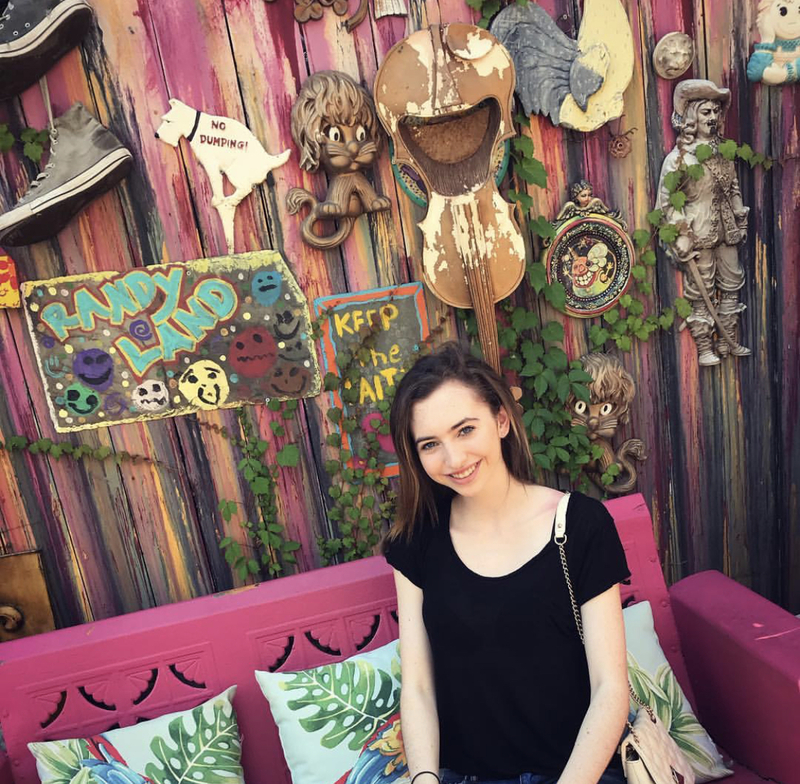 My name is Elizabeth Skelin and I am junior marketing major with a minor in English. I am from Cleveland, Ohio and outside of Sigma Kappa, I am involved in POWER Women's Fitness and Housing & Residence Life. I hope to move to Chicago after graduation to work at a marketing firm. I enjoy listening to music, traveling, and spending time with my huge extended family. A fun fact about me is that I studied abroad in Rome last summer, and I was also able to visit Paris and London while I was in Europe! Hey! 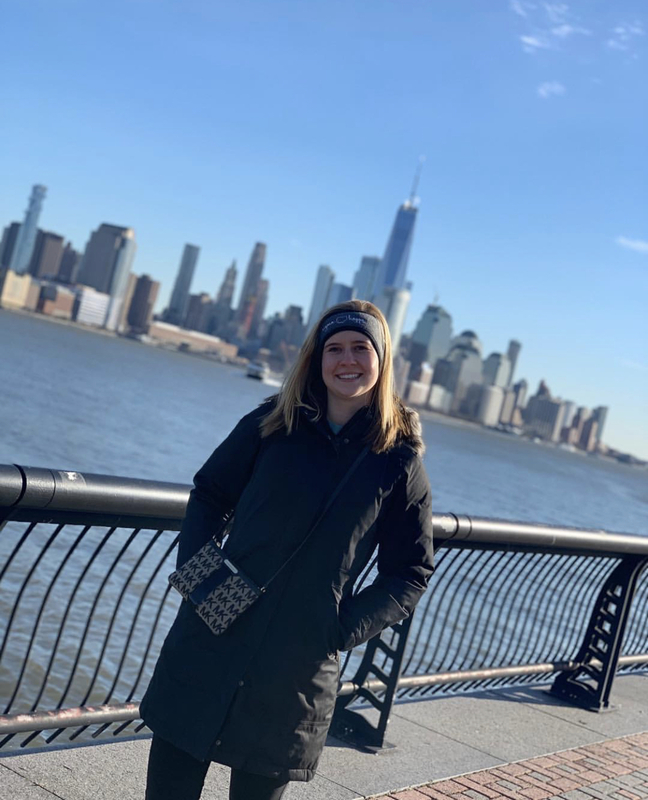 My name is Molly Eberle and I am a junior accounting major from Chicago, Illinois. Here at UD I am also involved in Beta Alpha Psi, Women in Business, Habitat for Humanity and I work in the Accounting Department. After graduation, I plan to work for an accounting firm hopefully back home in Chicago after getting my CPA. A fun fact about me is that I went skydiving in Hawaii! 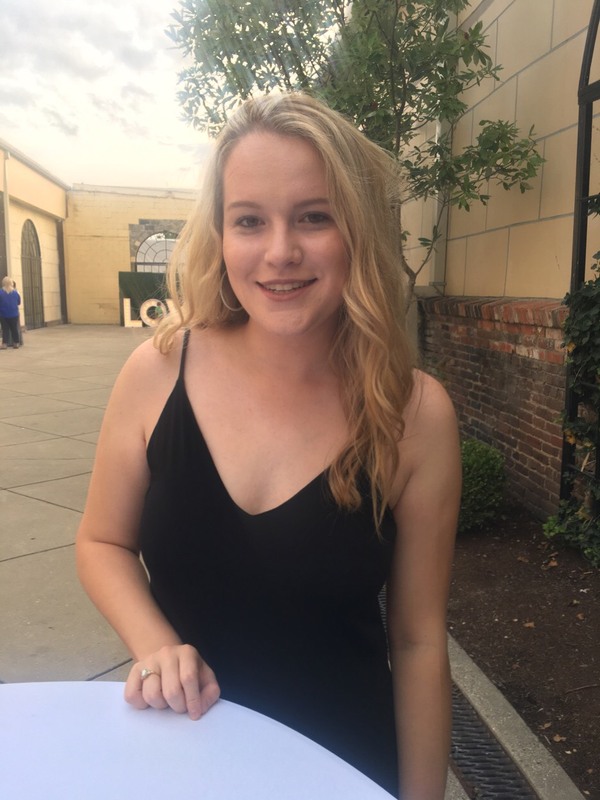 Hey, I’m Chrissy Kaninberg and I am junior entrepreneurship and marketing major from Louisville, Kentucky. I serve as the Kappa Gamma chapters Vice President of Philanthropic service, and I am also involved in Alpha Phi Omega here at UD. After graduation, I hope to get involved in corporate experience to pay off student loans and my end goal is to open my own nonprofit organization. One fun fact about me is that I helped to build a house in Nicaragua. My name is Lillian Dickman and I am a sophomore here at the University of Dayton! I am from Richmond, Indiana and I am an operations & supply chain management major with minors in business analytics and political science. 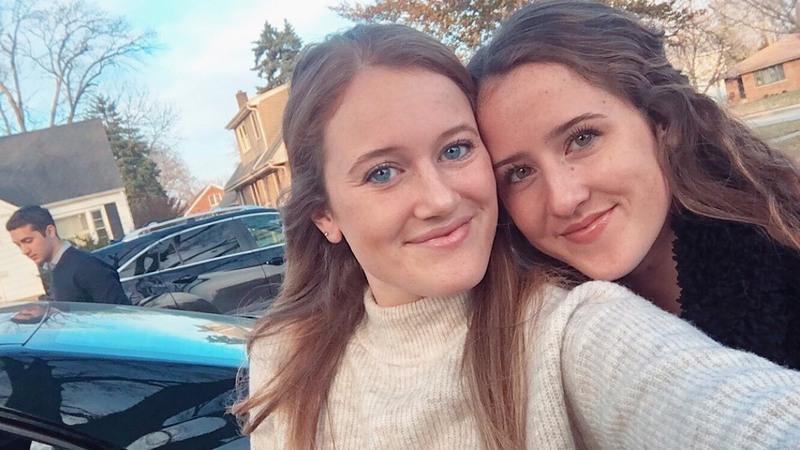 On campus, I am a member of the UD Dance Team, a sales associate at Stuart’s Landing through Flyer Enterprises, a tutor, and a Junior Achievement volunteer. And a fun fact about me is that I have watched every season of the Bachelor/Bachelorette since the 8th grade! 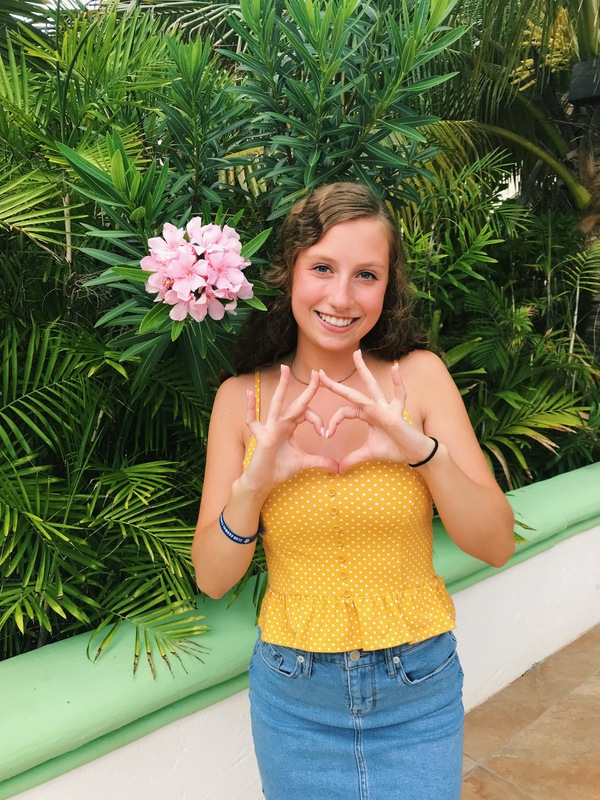 My name is McKenna Sibold and I am Kappa Gamma’s Panhellenic Delegate here at UD! I am a sophomore majoring in both psychology and philosophy and I am from Knoxville, Tennessee. When I am not dedicating my time to Sigma Kappa I am involved in; APO, Pre-PT Club, Pre-PA club, the Red Cross, and the Optimist Club. After I graduate from UD, I’m planning on attending graduate school for psychology and then an accelerated nursing program to be a CRNA and a psychologist! My favorite animal EVER is a cow and I’m legally blind! 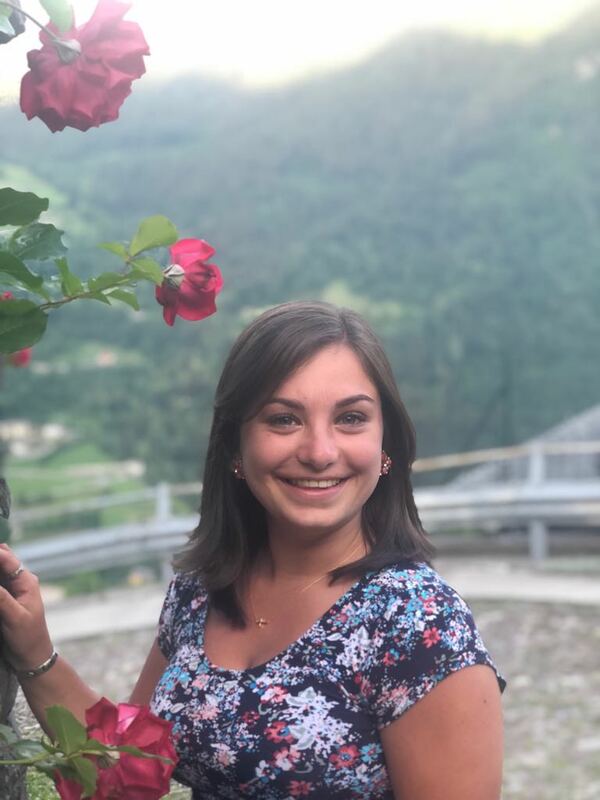 Hey, my name is Sarah Angeloff and I am a sophomore double majoring in management information systems and international business management and I am from Pittsburgh, Pennsylvania. Here at UD I am a brother of Delta Sigma Pi the Professional Business Fraternity on campus. After I graduate from UD, I have no set plans for after college as of right now, but I am hoping to land a job at a Big Four accounting firm as an advisory/risk consultant. One exciting thing that I am looking forward to is that I am studying abroad this summer in Rome with our business school. Hey, my name is Mallory Zalla and I am currently a junior, psychology major with a minor in social work, and I am from Northern Kentucky. Aside from Sigma Kappa, I am the President of PAGES, a program that tutors inmates at Montgomery County Jail. I am a member of Inside-Out SWK Program, a combined class at Warren Correctional Men's Facility, and I work as a Work Therapy Specialist for Building Bridges, Juvenile Court Montgomery County. After college I plan to get my Masters in Social Work, Child Welfare and Protective Services. Fun facts about me are that I have a twin sister and twin brothers. My name is Annie Philbin, and I serve as Kappa Gamma’s Public Relations Chairman. I am a sophomore accounting major here at UD and I am from Pittsburgh, Pennsylvania. Other things I am involved in at UD include, Women in Business, Student Government Association, and Finance club. A fun fact about me is, I’ve never seen the Titanic. My name is Mariell Thimme and I'm a sophomore pre-med major from Dayton, Ohio. I currently serve as the activities chairman for our Kappa Gamma chapter. I am hoping to pursue a Master's degree in nurse midwifery after graduation. Here at UD, I am a big fan of intramural sports and enjoy working for a local coffee shop as well as UD's law library. I also love baking, traveling, crafting, and I am a true coffee fiend! 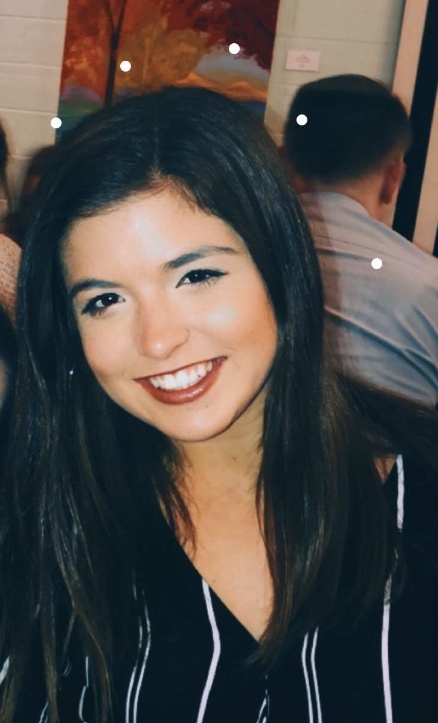 Hi, I’m Morgan Nicoski, a sophomore Early Childhood Education major from Chicago, Illinois. When I am not dedicating my time to Sigma Kappa, I am volunteering with Big Brothers Big Sisters, 4 Paws, National Society of Leadership and Success, and El Puente. After graduation, I am planning to teach in an elementary school somewhere. A fun fact about me is that I have gone abroad to teach in Italy twice. Hey! 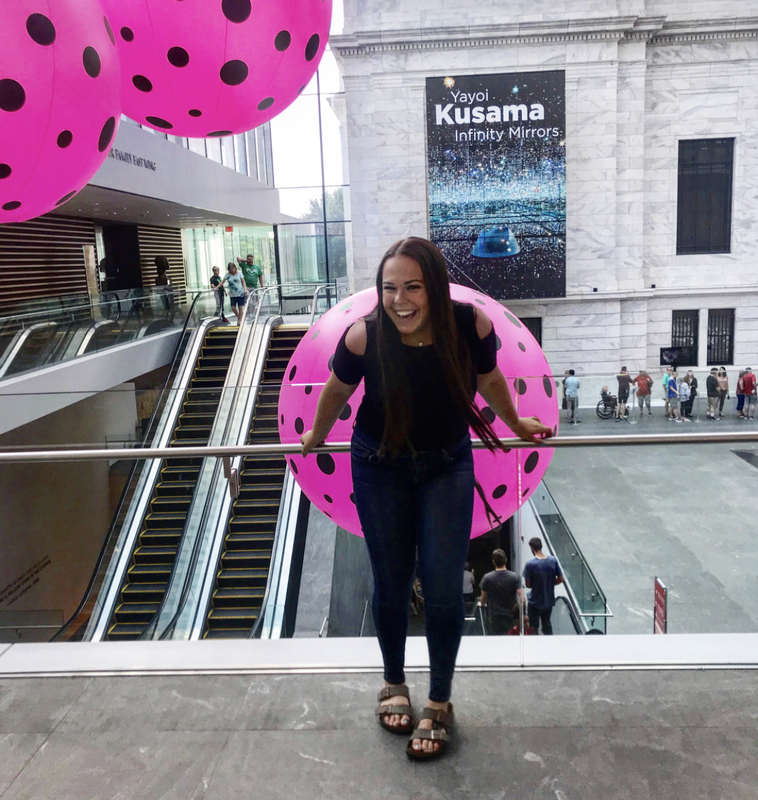 My name is Megan Miller, I am a sophomore Adolescent Young Adult Education major with a concentration in Integrated Social Studies, and I’m from Cleveland, Ohio. On campus, I am a member of FemUD, Amnesty International, the National Society of Leadership and Success, and I work for Retail Operations. After graduation, I hope to either do a fellowship teaching abroad in Africa for a year or I hope to get a job teaching in a high school. A fun fact about me is that I work at a summer camp that I camped at as a kid. I am Brenna Larkin. I am currently a junior here at the University of Dayton! I am a double major in marketing and international business. I am a part of Model United Nations, Pages, and I am a part of the Federal Work Study program that allows me to work at a nonprofit off campus. I love Sigma Kappa and can not wait to get more involved through my position! My name is Shea Heath and I am the Triangle Correspondent. I am a junior psychology major with a social work minor and I am from the Cleveland area. I work in the Center for Social Concern on campus and I love service. After graduation, I hope to do a year of service, and then enter a Masters of Social Work graduate program. A fun fact about me is that I studied abroad in Ireland for a semester and love traveling. 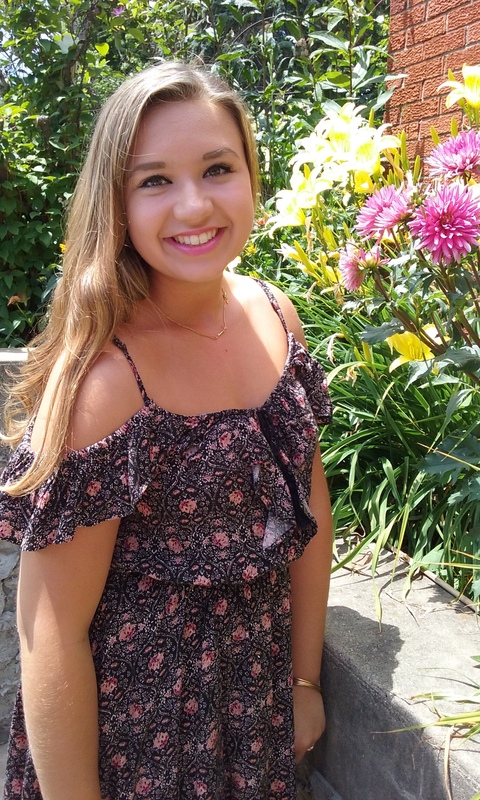 My name is Shannon Becks and I am a sophomore chemical engineering major from Avon, OH. When I am not spending time with my sisters, I tutor on campus and I am also a teacher's assistant for the School of Engineering. After graduation, I have no set plans, but I do want to move back to my hometown and work nearby or in Downtown Cleveland. Some things to know about me is that I am an only child and my parents love to travel, so I have been to 17 countries! Hey! My name is Hunter Soumar, and I am a sophomore, criminal justice major with a spanish minor here at UD! I am from Brookfield, Illinois, and aside from Sigma Kappa I am also a Cheerleader at UD and volunteer at El Puente. After this school year, I have an internship this summer at a police department back home. And a fun fact about me is that I can moonwalk. My name is Riley Cryderman and I am Kappa Gamma’s House Manager. I am a sophomore, History and Adolescent Young Adult Education major, from Cleveland, Ohio. After college I hope to be a middle school history teacher. A fun fact about me is that I am part of the 2% of the population with green eyes!